Bring Democracy into the cold, dark reaches of space, once more. Greetings, Citizen of Super Earth. If you've ignored the call of the Helldivers for this long, your blood must run yellow with cowardice. Democracy triumphed over Tyranny (and bug-kind) in the 5th Galactic War, while you relied on real heroes to die on alien planets. You, and your families, should be ashamed that you have not yet donned the mantle of the Helldivers, and done your part to ensure humanity's freedom. Luckily, you need not wallow in shame any longer. 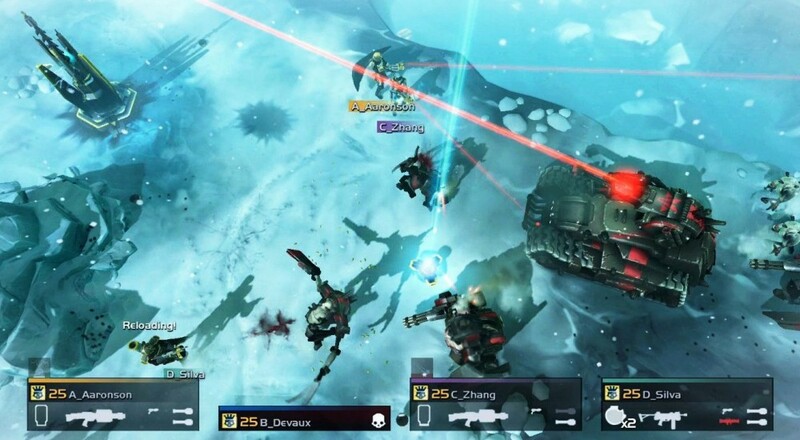 Helldivers: Super-Earth Ultimate Edition is out for all who love their planet. If you draft dodgers avoided service for all five wars, you can finally regain your honor. Take a look at this trailer, and try not to shed a tear at the power of Democracy. That's right, it's the Ultimate Edition of Helldivers. You can tell this is truly the definitive edition because they slapped the much idolized "Super-Earth" title onto this one, which means it's pretty much the greatest thing in the universe. You and your three bravest, freedom-lovingest friends can defend Super-Earth from the alien menace with a slew of additional weapons, a unique Helldivers theme, and the "Turning up the Heat" and "Masters of the Galaxy" expansions. It's the fattest Helldivers package yet, though for us that have already answered the call, the additional weapons and the unique theme can be purchased from the PSN store. Super-Earth Ultimate Edition debuts for the PS3, the PS4, and the Vita in whatever flavor you choose. The physical copy comes with the PS4 Blu-ray, and the PS3 and Vita digital versions, giving you all the Helldivers you could want.